My Morning Jacket had a monumental year after releasing their highly anticipated seventh full-length album The Waterfall, via ATO Records/Capitol Records. Grammy®-nominated for Best Alternative Music Album, it has been called their “richest album yet” by Entertainment Weekly, “epic” by the Washington Post, and “a remarkable collection of songs” by Relix. The band closed out 2015 with an EPIC 4-night run at Beacon Theatre that “…felt like a giant, all-encompassing celebration”(Stereogum). 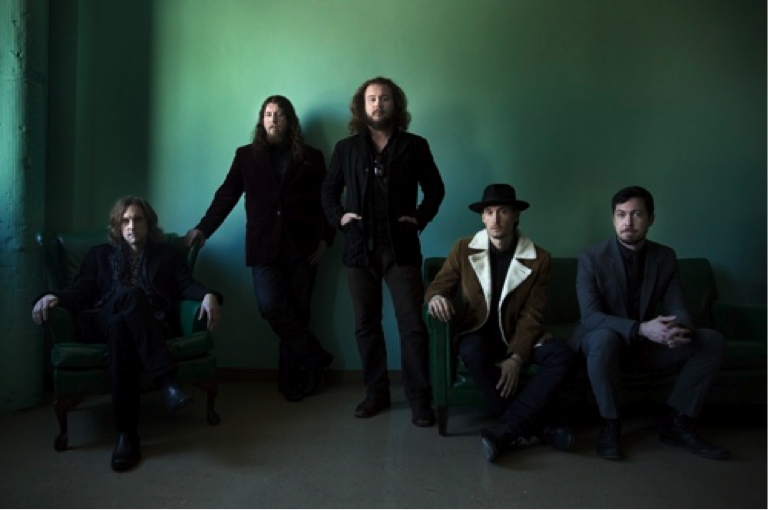 In support of The Waterfall, My Morning Jacket will embark on a string of US tour dates this spring with stops including Oklahoma, Texas, Kentucky, and the legendary Red Rocks Amphitheater. In 2015 My Morning Jacket played a sold-out show at Red Rocks, which was filmed by Danny Clinch and live streamed for fans worldwide. The footage was used for their first official music video, “Compound Fracture”, from The Waterfall. The Waterfall graced Best of 2015 lists from American Songwriter, Music Times, Paste, Relix, Stereogum, Toronto Sun, Uncut and Under the Radar. My Morning Jacket’s full list of 2016 tour dates are below.